Perfect condition, no accidents. Runs like a top with good set of tires, needs nothing. 5k mileage. 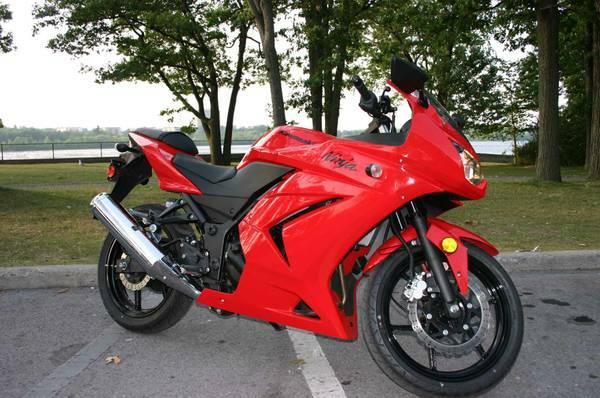 The Ninja 250 is one of the best starter bikes being easy to handle, lightweight and affordable. The 248cc liquid-cooled four stroke is an easy to ride, enjoyable engine with excellent gas mileage. Combined with the low seat height and upright riding position, the Ninja 250 is easily one of the best choices for riders getting started.